When considering what may drive someone to use alcohol as a soothing panacea for managing mental health disorders it is helpful to gain a deeper understanding of the connection between social anxiety and alcohol abuse. It isn’t difficult to identify the causal nature of this link, considering the effects of social anxiety on a person. For individuals who suffer from social anxiety, the intense level of discomfort in social situations can lead to an array of physical symptoms. These include a racing heart, spiked cortisol and adrenaline production, palpitations, sweating, shaking, and nausea. Alcohol can behave as a very quick antidote to these symptoms, producing a calming, relaxing effect in moments. But as with all substances that produce chemical changes in the brain, alcohol can create a whole host of additional problems on top of the social anxiety it is supposed to be helping. The partnership between alcohol and social anxiety becomes symbiotic, that is the effects of one enhance the effects of the other, as a vicious cycle. Alcohol abuse can enhance the anxiety symptoms, as well as contribute to depression and many negative consequences in one’s life. Why Do Those With Social Anxiety Use Alcohol? Someone with social anxiety disorder typically has an intense fear of social events and interactions. This can include fearing simple activities like eating a meal in public or something associated with an extreme fear of being judged, such as public speaking. It has been found that 20% of those who suffer from social anxiety disorder also present with a comorbid alcohol use disorder, according to the article by Book and Randall, “Social Anxiety Disorder and Alcohol Use.” Alcohol can help these individuals relax in social settings, reducing the anxiety symptoms associated with the social phobia. For those who dread the prospect of being scrutinized or criticized publically, turning to alcohol can be the last thing they do before leaving the house. Self-medicating fears away is only going to provide a temporary Band-Aid as more and more of the substance will inevitably be needed to relax. Treating social anxiety will involved a combination of targeted psychotherapy and the use of medication. The psychotherapy best suited for treating social anxiety disorder is cognitive behavioral therapy (CBT). In addition, exposure therapies are also helpful in assisting individuals in overcoming their fear of social situations. Antidepressants such as Paxil or Zoloft may be effective in managing the symptoms of social anxiety disorder. In addition, other types of antidepressants, such as the SNRI venlafaxine (Effexor XR) has been shown to be effective for this anxiety disorder. Benzodiazepines, such as Xanax or Valium may also help reduce feelings of anxiety in a stressful situation, however these drugs have a high propensity for abuse and addiction. When seeking help for an alcohol use disorder the first step in the process of recovery will be the detoxification process. Alcohol detox should always be conducted in the safe and supportive medical detox environment. Alcohol detox can suddenly introduce serious health risks, such as seizures or the delirium tremens, so detox should never be done without appropriate supervision. Once the detox is completed, it is time to transition to treatment for the alcohol and social anxiety disorders. Both disorders should be treated simultaneously using psychotherapy, such as CBT and motivational enhancement therapy, medication, 12-step programming, and adjunctive activities that can enhance the conventional treatments. These might include recreational therapy, mindfulness, EMDR therapy, yoga, and hypnotherapy. Ken Seeley Communities is an integrated alcohol and dual diagnosis treatment center serving Coachella Valley in California. At Ken Seeley Communities, great lengths are taken to match the needs of each individual client based on their particular substance of abuse or co-occurring mental health condition. For alcohol and social anxiety, a comprehensive approach to treating the co-occurring disorders would involve evidence-based therapies that are targeted toward social anxiety disorder. These include cognitive behavioral therapy, interpersonal psychotherapy, and exposure-based therapies. The alcohol use disorder should be treated simultaneously for the best recovery outcome. For more information about our recovery services, please contact Ken Seeley Communities today at (877) 744-0502. A dual diagnosis occurs when an individual is struggling with both a substance use disorder and a coexisting mental health disorder. Dual diagnosis is a complex and prevalent condition that impacts about 25% of those with a drug or alcohol addiction, according to the Substance Abuse and Mental Health Services Administration. Of those, the most common is the dual diagnosis alcohol and depression combination. There are two ways the dual diagnosis alcohol and depression can develop. 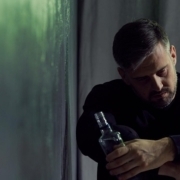 In some cases, the individual is experience a major depressive episode and may turn to alcohol as a means of self-medicating their emotional pain away. Over time, the tolerance to alcohol increases, resulting in more excessive drinking and potentially alcohol addiction. This is a situation where depression was a precursor to alcoholism. In others, the individual develops alcoholism first. As the consequences that result from the alcohol addiction mount, depression can set in, indicating that alcoholism can trigger a depressive disorder. In both scenarios, the dual diagnosis alcohol and depression is the outcome. This particular dual diagnosis is a particularly dangerous one. Because alcohol is a depressant, and can cause major devastation in all aspects of one’s life, when co-occurring with depression there is a higher risk of suicide. In fact, suicide rates among alcoholics are exorbitantly high. According to a study published in the International Journal of Environmental Research and Public Health, among alcoholics, the lifetime risk of suicide is 10%-15%, and that, in fact, depression and alcoholism were comorbid in 85% of 100 cases of completed suicide. Treatment for individuals who present with this dual diagnosis of alcohol and depression will need to be provided through a specialized dual diagnosis provider where both disorders will be treated simultaneously for the best recovery outcome. These programs include psychiatric expertise on staff that are trained to respond to the issues that may emerge during detoxification and rehab. The fallout for this dual diagnosis can be exceptional. Struggling with both depression and alcohol dependency can result in a slew of negative consequences. This can be due to the increased impulsivity of the alcoholic, an increase in risk-taking behaviors, and neglecting obligations, among other causes. Individuals with a dual diagnosis of alcoholism and depression should not ignore the need for professional help. Loved ones who recognize these signs and symptoms are encouraged to seek out treatment for the individual. One of the more devastating consequences of alcoholism/depression co-occurring disorders is the dramatically increased risk of suicide. Primary care providers are being trained to assess for risk of suicide among patients who are alcohol dependent, hopefully increasing referrals to addiction treatment programs. These patients should be questioned about possible presence of depression symptoms as a way of identifying suicide risk in this group. If there is a present danger of suicide, immediately contact the National Suicide Prevention Lifeline at (800) 273-8255. Medically supervised detox and withdrawal: Alcohol detox should always be medically supervised, as potentially dangerous withdrawal symptoms can suddenly emerge. Detoxification is treated using benzodiazepines and other medications to ease symptoms. Individual psychotherapy: Therapy is an essential core element for treating both disorders. The therapist will guide the individual to examine sources of emotional pain and help them resolve these. In addition, cognitive behavioral therapy helps shift addiction responses toward positive, productive behavioral responses, as well as teaching coping skills. Group counseling. 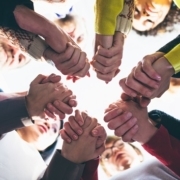 Group therapy supports peer interaction and is a source for sharing and accountability. Medication management. Medications for the mental health disorder and/or the alcoholism may include antidepressants and naltrexone. Relapse Prevention: Individuals create a detailed relapse prevention strategy by identifying specific triggers or situations that could lead to relapse, and response strategies as well. Continuing care services: Following completion of the program, sober living housing, 12-step group participation, and outpatient counseling are strongly encouraged. Ken Seeley Communities is a Palm Springs-based addiction and dual diagnosis recovery program. The expert dual diagnosis clinical staff is trained to treat both disorders, alcoholism and depression, concurrently, providing detox, rehab, and sober living transitional housing. Ken Seeley Communities features a unique approach to guiding individuals into recovery, including intervention services and a subsequent continuum of care throughout the recovery process. For more detail about the program, please contact Ken Seeley Communities today at (877) 744-0502. When taking the first important step toward recovery—the conscious decision to obtain treatment for drug or alcohol addiction—there are some things to consider before deciding on the type of rehab that is best suited for your unique situation. Each person struggling with addiction will have specific features associated with their personal substance use disorder. Because no two addiction stories are alike, a variety of rehab programs exist to offer many options for care. For example, some addicts may have a long-standing co-occurring mental health disorder, such as depression, anxiety, or an eating disorder. Others may have only recently become hooked on painkillers. Still others may have a poly-substance disorder where multiple drugs are being abused. There are specialized rehabs that will align with each of these very different addiction scenarios. For individuals with a long history of heavy alcohol or drug abuse, a residential rehab is the best pathway for successful recovery. Residential drug treatment programs in California cover a wide range of treatment philosophies, locales, amenities, and services, providing the opportunity to find a rehab that best suits your recovery needs and goals. If you have determined that a residential program is the best fit for your recovery needs, it helps in the selection process to know what constitutes a high quality rehab. Residential drug treatment programs in California may share a common goal of assisting individuals towards living a sober life in recovery. However, the methods they practice, the licensing they hold, and the standards they adhere to can vary significantly. One of the many benefits of selecting a residential rehab over an outpatient program is the convenience of undergoing the detox process on the premises. Medical detox involves the individual processing through the stages of detox and withdrawal while under the supervision of a medically trained detox professional. Withdrawal symptoms can be highly uncomfortable and, in the case of alcohol detox or benzodiazepine detox, can present sudden health risks. The medical detox team is trained to monitor vital signs and to intervene immediately in an urgent health event. In a medical detoxification the individual will experience unpleasant withdrawal symptoms that vary based on the substance of abuse. These withdrawal symptoms indicate the central nervous system and brain chemistry is attempting to stabilize while the drug is being withheld. The medical detox team provides medications to help ease the symptoms, as well as offer psychological support throughout the detox process. Detox is only the first step in the recovery journey. It is not realistic to believe that once detox is completed you are good to go. Powerful cravings and ingrained addiction behaviors will quickly upend any attempt to remain clean and sober. For these reasons it is imperative to complete an extended stay in a residential rehab where coping skills, new thought/behavior patterns, and stress-reduction exercises are taught. Psychotherapy. Talk therapy is beneficial in addiction treatment, as it allows clients to explore past or present issues that are psychologically painful. This one-on-one therapy also helps clients examine self-sabotaging thought patterns that have fueled substance abuse, and replace these with new constructive patterns. Group work. Peer-based therapy sessions and recovery meetings allow clients to bond with others while sharing individual stories of past struggles. These group therapy sessions are facilitated by a clinician who guides discussion towards sharing ideas and offering support. Family counseling. Because the family is such an essential source of support it is helpful to enlist their involvement in their loved one’s treatment. Healing past pains, broken trust bonds, and dysfunctional communication practices can be initiated in family therapy. Classes. Rehabs provide classes that teach clients how addiction develops on a neural/physiological level, which can help deter future substance abuse. Classes to plan strategies for avoiding relapse, to teach coping skills and life skills are also offered. Recreational therapy. Activities that compliment the traditional therapies might include such things as exercise programs, outdoor activities, art and music therapy, yoga classes, and mindfulness training. These activities enhance feelings of competence, self-esteem, and self-empowerment that can augment treatment. Medication management. Some clients may have a coexisting mental health condition that requires medication to help ease symptoms, so these medications can be provided. Also, in some cases medications that assist opiate recovery are prescribed and monitored closely. An important, and often overlooked, treatment element on the recovery continuum is continuing care. After leaving rehab it can be difficult to adjust to life in recovery. By accessing aftercare services the chances of a sustained recovery are greatly increased. These include sober living housing, weekly outpatient therapy, and 12-step recovery groups. Ken Seeley Communities is one of the leading residential drug treatment programs in California. With a full spectrum of addiction treatment services available in a tight-knit, supportive environment, Ken Seeley Communities offers the highest caliber of care using both traditional evidence-based therapies and innovative methods. For more information about our residential treatment program, please contact Ken Seeley Communities today at (877) 744-0502. Ken Seeley Communities is a licensed and Joint Commission accredited addiction and dual diagnosis rehab program in Palm Springs, California. Receive leading help from experienced treatment professionals and support staff. Our team is ready to show you how to live a life free from drugs and alcohol. Call our Admissions Team Now!